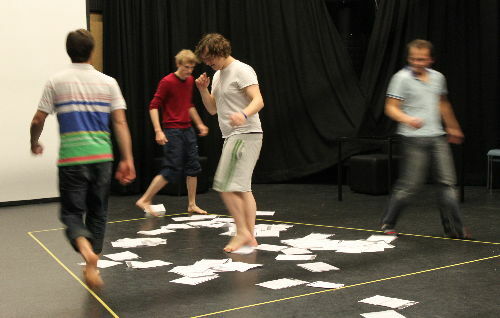 The BeckettLab participants were Fail Better's student ensemble as part of our artistic residency programme. Initially we explored Lucky's tirade (Waiting for Godot) and Mouth's monologue (Not I) using rehearsal practices. 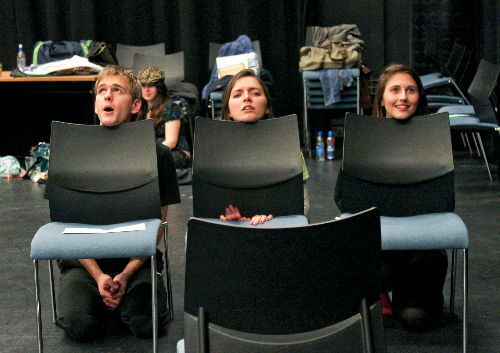 A physical awareness of Beckett's dramaturgy was introduced to the work (in this case Play) . 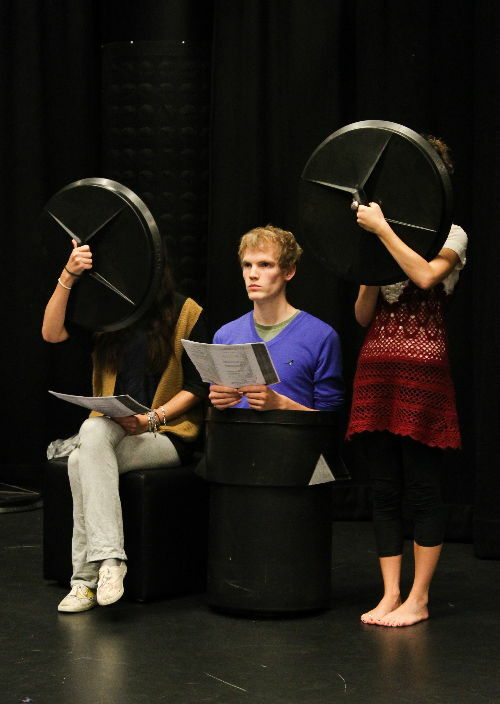 The ensemble used devising methods to create 'theatre machines' based on Beckett (cf. Quad). The ensemble began to focus on the Beckettian modes of physical restriction and aesthetic formalism (cf. Play). 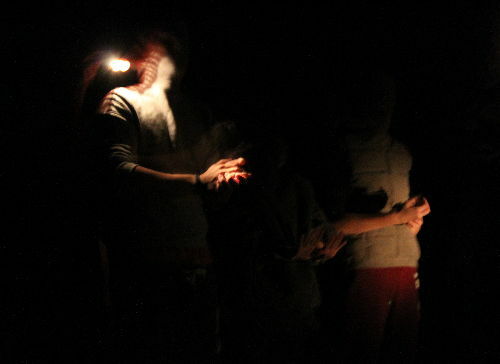 Our devised work began to focus on formal abstraction and the technical limits of performance. To continue the journey, click here.